Get the whole family together for a holiday in Cornwall to remember. 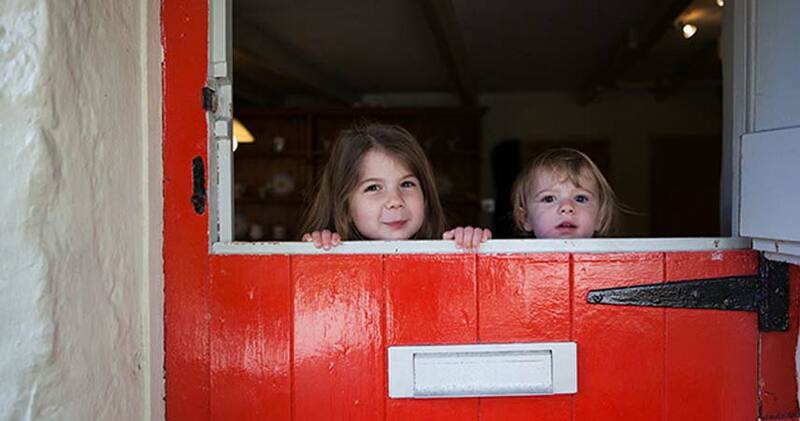 Our large luxury self-catering cottages are perfect for family holidays with three generations. Each cottage has been lovingly decorated and equipped with everything you need. We’ve got ample parking and 30 acres to explore, plus a great family friendly pub within walking distance. Ideally situated near some of Cornwall’s best-loved attractions (the Eden Project and the Lost Gardens of Heligan are only a hop, skip and jump) and a short drive to the sweeping golden sandy surf beaches on the north coast, Bosinver has a great location for exploring the best Cornwall has to offer. Whether you fancy a relaxing week or an activity-packed long weekend, you’ll find plenty to keep the whole family entertained both on and off site. Our aim is to give all our guests the best holiday possible, and we’re constantly thinking up new ideas for how to do that. We were absolutely delighted to be honoured with the ‘Winner of Winners’ award in the South West Tourism Excellence Awards 2014/2015 as well as winning Gold in the Self Catering and Bronze in the Sustainable Tourism categories. You can read more about our awards on our website, or take a look at some of our reviews to see what previous guests have to say about holidays at Bosinver. The Farmhouse is our largest cottage and sleeps 12. Full of character and quirky charm, this old Cornish thatched longhouse dates back to the 17th century. Lovingly decorated, and equipped with all the mod-cons you’d expect, it’s a real home-from-home with plenty of space to spread out and relax. The spacious, open plan living room is perfect for getting everyone together, whether that’s sitting down at the dining table for a celebratory meal or sinking in to ultra-comfortable sofas with a glass of wine after a day’s adventures. The Farmhouse is also dog friendly, so you can bring the four-legged members of your family too. And from April 2015, it will also have its own private hot tub in the garden. Anyone for stargazing after the kids have gone to bed? Alternatively, if you want to holiday together but you prefer your own space (or you’ve got a really big group), you could book two or more cottages. We’ve got 20 cottages in all, sleeping 4-12 people. All our cottages have their own private space, but are just a stroll away from each other. To find out more or check prices and availability, take a look at our website – or just give us a call on 01726 72128. And for inspiration to help plan the perfect large family holiday in Cornwall, take a look at our three generation holiday blog post. We’d love to hear your suggestions about how to make the most of a large family holiday. What worked for you – and where would you recommend visiting while you’re in Cornwall? Leave a comment below, tweet @Bosinver or post on our Facebook page to join the conversation.